Create stunning night photography during this 3-day/2-night retreat in Australia's southwest with professional photographer Paean Ng. This special event includes 2 nights accommodation, all meals and snacks, transport to all locations, all photography & creativity tuition PLUS 2 guided walks on Cape to Cape and Borenup Forest. This retreat is for anyone who wants to walk, spend time in nature & learn to photograph the stunning night sky. Edgewalkers is providing a unique opportunity to learn the basics of Astrophotography with professional astrophotographer and nightscape artist Paean Ng from Astrordinary Imaging for two nights of stars, the Milky Way and stunning 360 photospheres. And what better time and place to do that than southwest WA? Don't miss out - our last retreat was such a success!! 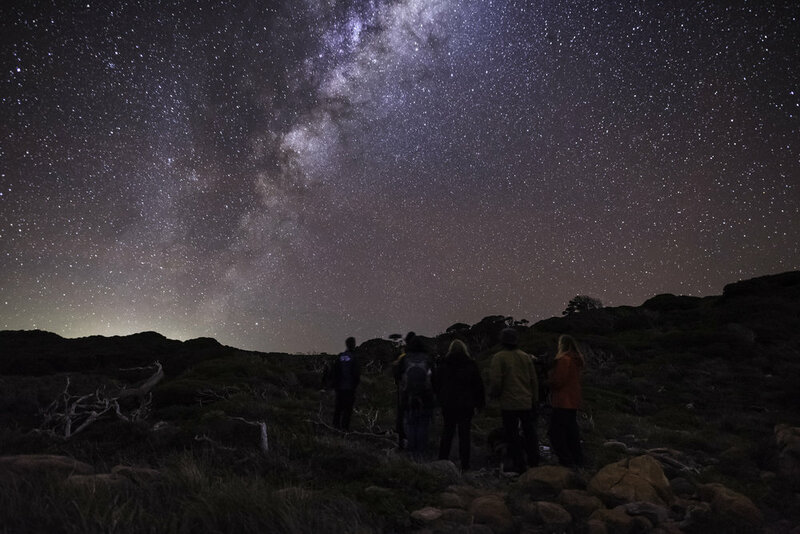 Looking up at the Milky Way from WIlyabrup Cliffs, Margaret River, during last retreat in June 2017.
wants to be inspired into a more creative life and learn some creative & idea generation tools. PRACTICE - Night Astrophotography - learn the basics of astrophotography, including the basics of wide field panoramas. Capture and bring to life the beauty of the southwest night skies and immerse yourself in nature and a creative experience. On top of learning aspects of camera set up like how to focus at night, calculate exposure & settings, you will also have the opportunity to learn the process of visualising the wide field panorama by using parts of the Milky Way to line up compositions. REFLECTION - Walking & Writing - let your mind wander as we walk various natural spots along the Cape to Cape. The walks are an opportunity to connect with nature and reflect on all that is emerging during the retreat. You will have a chance to write your experiences and thoughts as a way to reflect and learn. Paean Ng is an award winning professional photographer specialising in panoramas & photospheres. Dr. Erika Jacobson is a transformative learning and creativity specialist using arts-based and embodied approaches in community, organisational and personal development. Day 1: Arrive in Margaret River region after 3:00. We will meet for dinner & introductions at 5 pm. Our first destination is iconic Sugarloaf Rock. On our return you will have an opportunity over supper to get some processing & editing tips from Paean. Day 2: After breakfast we will explore an idea generating technique and apply it to your own life. Our afternoon walk will be along a section of the Cape to Cape track where you will have plenty of opportunities to appreciate and photograph landscapes in the height of the wildflower season - it will take your breath away! In the evening we will make our way to Wilyabrup where we will capture the Milky Way above the iconic cliffs under the guidance of Paean who will also point out different parts of the Milky Way including the core, the Galactic Kiwi, the Dark Horse Nebula, the Southern Cross and the Magellanic Clouds. Day 3: After breakfast we will further examine other creative thinking tools including free writing and ways of incorporating them into a regular practice. We will finish the retreat with a walk & lunch in Boranup Forest. creative thinking session with Dr. Erika Jacobson. MILKY WAY CAPTURE IS SUBJECT TO WEATHER CONDITIONS.